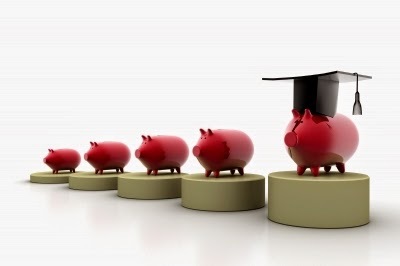 Finance Ideas 4u: Education loans – Make the best use of the financial support to pursue higher education! Education loans – Make the best use of the financial support to pursue higher education! The future of a nation is in the hands of the students. To acquire knowledge, they need to be educated. The hefty education expenses make it difficult to pursue higher studies for most of the students. The pressure of handling the tuition fees and other expenses related to education drives the students to obtain loans offered by the federal government and private education institutions. However, the students need to get prepared to be eligible for the loans. Understanding the factors that determine the loan approval is necessary before you apply for the loan. How to get prepared to obtain loans for education? The credit score plays a great role in the loan approval. The deadlines of debt repayments should be followed strictly. Default on earlier loans affects your credit score. This poses a hurdle in the loan approval while you apply for student loans. You need to enhance your credit ratings if you are to apply for loans to support your education. You can get the support of your parents to help you getting loan approval. However, they need to have good credit report. If you are yet to build your credit history, you can consider obtaining credit cards and borrow and repay on time! The first requirement for getting financial support from private lenders is the age proof. The applicant needs to be of eighteen years of age for any legal agreement. The loans from private lenders can be accessed if you are a permanent citizen. However, you can obtain loans if there is someone who is willing to cosign the loan. You need to submit the documents regarding your age proof, address proof and the details of the previous school which you attended. The lenders should be convinced of your reliability and your ability to repay the loan. The loan applicants should be prepared to clarify the doubts regarding the scope for the field of education that they choose to study, so that the lenders can be confident of the return of their money. To avoid unnecessary problems, it should be ensured that you approach a genuine lender. Since the terms and conditions of the offers differ from one lender to another, it is necessary that you make a careful study before you make your decision. The interest rates for education loans are quite higher than the rates for other loans news. The loan amount also differs from lender to lender. The scheme that you choose should have flexible repayment terms. Some of the lenders attract the market with the offer of one year grace period after the completion of the education course, to start the repayments. However, the support of the loans in higher education should be appreciated with timely return of the money. When you borrow, you need to restrict the loan amount to meet your inevitable expenses related to education. With reduced loan amount, your stress due to repayments is also minimized. Searching for the reliable loan providers, comparing the offers and planning the repayments are the effective strategies to make the best use of the education loan.